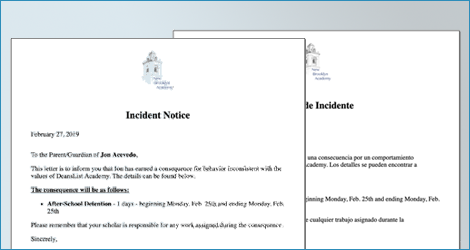 Teachers log incidents right from their smartphones. 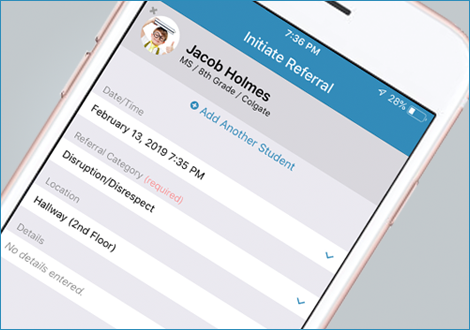 Administrators receive instant notifications and, if necessary, can respond to the classroom. Everyone involved in an incident is automatically updated throughout the process. 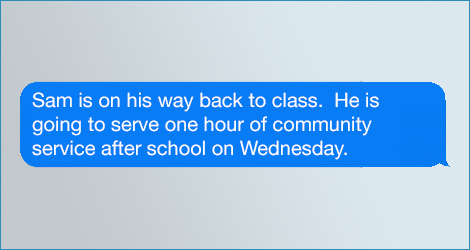 This way referring teachers know what happened, what consequences a student will serve, and can have a productive conversation with the student when he/she returns to class. Generate paperwork and forms with the click of a button - even translate them automatically into a family's primary language and email them home. Build in district and state requirements to ensure all required information is captured and policies are followed. with disabilities aren't being disproportionately disciplined. Referrals & Incidents, Integrated. With DeansList, nothing lives in isolation. It's easy to send home updates on behavior, homework, grades and more without the hassle of spreadsheets or data manipulation.